Just the thought of today’s prompt made my mouth water! 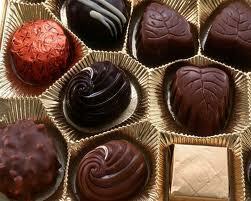 My weakness, and my downfall, is chocolate! As I place a piece on my tongue, I savour the rich, creamy flavour and know that just one piece is never enough. Chocolate cheers me up when I’m feeling down, fortifies me when I’m writing long into the night, and gives me a treat when I’ve worked hard. The colour of milk chocolate is warm, inviting – I have accents of it in various rooms around my home – it gives a sense of welcoming and comfort. Could I ever live without it? If I had to, I suppose, but not by choice! 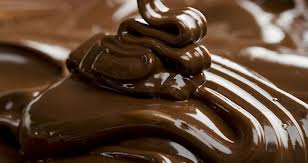 This entry was posted in #BlogFlash2013 and tagged #BlogFlash2013, Chocolate, creamy, inviting, rich, warm, writing by Carlie M A Cullen. Bookmark the permalink. I couldn’t live without chocolate. I am now hungry for chocolate. LOL!! God help me if I every have to give up chocolate! I’ve had two bars of chocolate today and after reading your post I might have to make it three! I’m right there with you in the chocolate party! You are making me drool and want to go break into the local store to get some chocolate right now (it’s 2.30 am here). So good! God help EVERYONE around me if I have to give up chocolate! Never by choice! Maybe I’d even give up shoe shopping first!